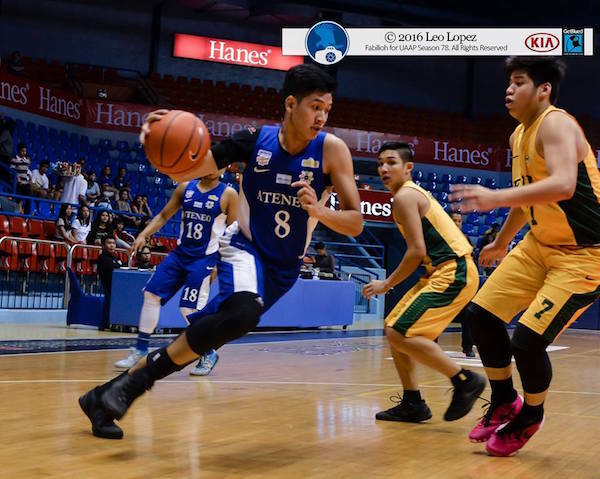 Hoop Nut #UAAP78 Ateneo Blue Eaglets Juniors Division UAAP #UAAP78Jrs Roundup: Bullpups enter Finals, Eaglets and Baby Tamaraws face off in KO stepladder match. 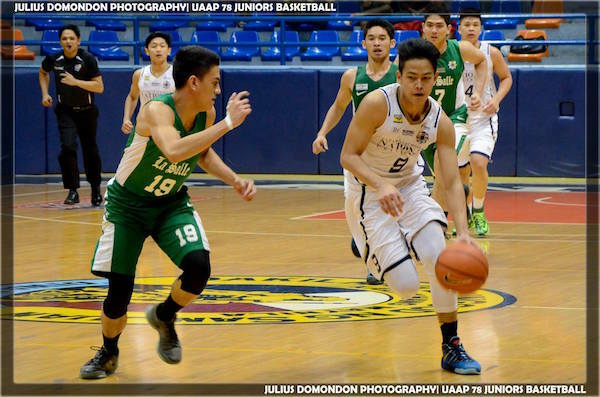 #UAAP78Jrs Roundup: Bullpups enter Finals, Eaglets and Baby Tamaraws face off in KO stepladder match. Justine Baltazar put up another dominant performance for NU. 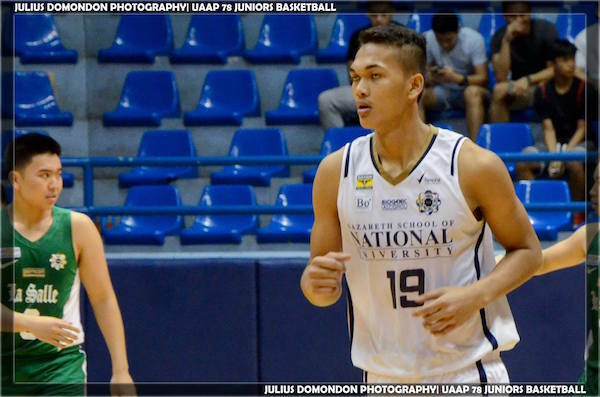 National University routed De La Salle-Zobel, 80-57, to clinch the outright championship berth yesterday in the UAAP Season 78 juniors basketball tournament at the Filoil Flying V Arena. Justine Baltazar tallied his 11th double-double of the season with 18 points and the same number of rebounds to power the Bullpups in finishing elims with a perfect 14-0 record. John Lloyd Clemente and Daniel Atienze each dropped 15 points in support, while former Batang Gilas player Rhayyan Amsali added 11 markers. Seeking to regain the crown it won two years ago, NU also bagged the thrice-to-beat incentive for sweeping the double-round eliminations. 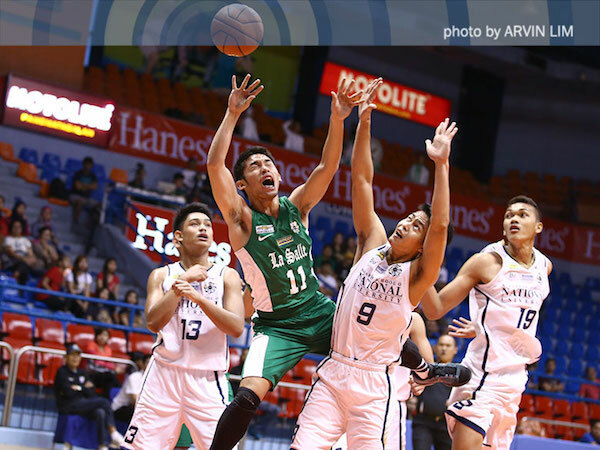 After a 10-point first quarter, DLSZ’s Aljun Melecio was held to eight points the rest of way as the Junior Archers settled for second place with an 11-3 card. Visayan product Jan Sobrevega and big man Markus Tongco each tallied 10 markers for the Green and White. John Lloyd Clemente is gonna be tough to handle in the Finals. MVP race leader Aljun Melecio failed to lead DLSZ past NU to close the elims. In the day’s other marquee match-up, defending champion Ateneo blasted Far Eastern University-Diliman, 78-53, to cap the elims at solo third with a 10-4 slate. Jolo Mendoza came through with 17 points highlighted by a perfect 3-of-3 shooting from beyond the arc for the Blue Eaglets. The Baby Tamaraws, who were paced by Eric Jabel's 12 markers, wound up in fourth with an 8-6 card. Mendoza was the only player of coach Joe Silva’s to break through the double-digit barrier as BJ Andrade and RV Berjay were Ateneo’s next best scorers with 9 points each. The Katipunan quintet played without starting slotman Jossier Hassan, who is still nursing a shoulder injury. 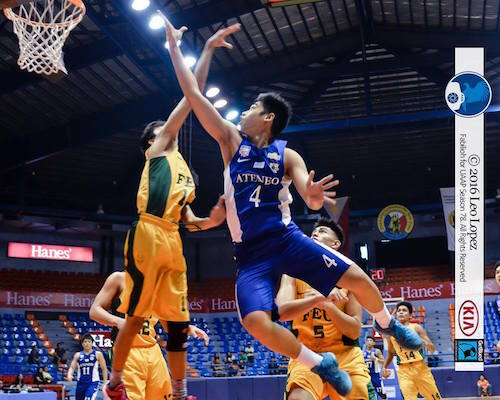 Ateneo and FEU-Diliman will figure in a knockout stepladder semifinal game that starts at 2 p.m. on Wednesday at the same San Juan venue. The winner will face De La Salle-Zobel, which has a twice-to-beat advantage. BJ Andrade attacks the basket with aggression. Jolo Mendoza pulls up against the Baby Tamaraws. 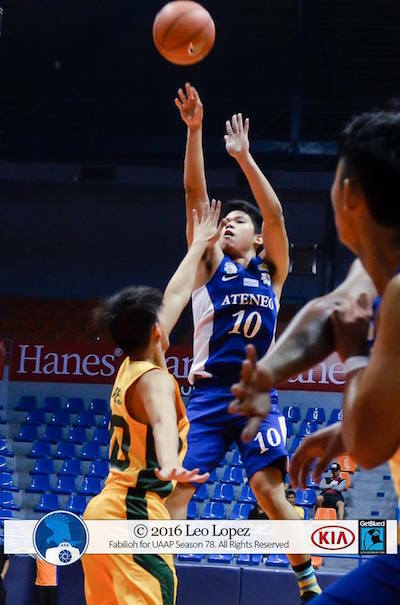 Sophomore big man RV Berjay looks to have a bright future for Ateneo. Adamason defeated University of Santo Tomas, 77-63, to end its season in fifth place with a even 7-7 mark, while UP Integrated School scored a 99-79 rout of University of the East for a 3-11 card, good for a sixth place tie with the Tiger Cubs. The Junior Warriors finished winless for the second straight season. Former St. Jude player Ralf Chua led the Baby Falcons with 17 points, while Evan Agbong added 15 markers and 13 boards. Joaquin Balingit top-scored for UST with 13 markers. The Junior Maroons were paced by Javi Gomez de Liano, who tore UE to shreds with 37 points and 11 rebounds, while Allane Barles added 24 markers. Jethro Publico tossed in 16 points for the Recto squad.